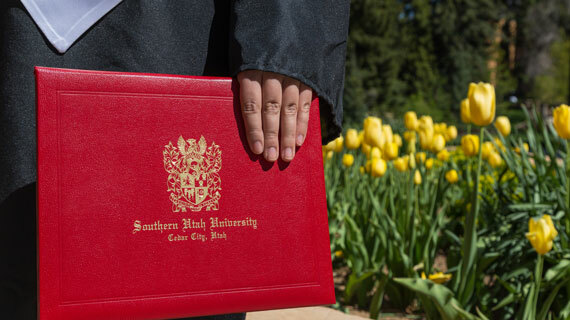 Southern Utah University is excited to announce that Governor Gary Herbert and the Utah State Legislature have approved and funded a three-year bachelor’s degree pilot program. SUU received $3.8 million ongoing funding for the project and will be ready to launch the program in January 2020. The three-year degree is an optional program for students to accelerate the traditional undergraduate process and enter the workforce earlier while still gaining the professional hands-on experiences needed for the job market. SUU administration, faculty and staff members are reviewing the current academic model and will make significant adjustments to ensure student success. The three-year degree program will reduce barriers to graduation making it easier for a student to save time and money. The program will include an adjustment to SUU’s academic calendar to accommodate three full semesters, plus a reasonable summer break. New structural changes will also include robust online offerings and summer classes. For more information, visit the 3-Year Bachelor's Degree webpage.